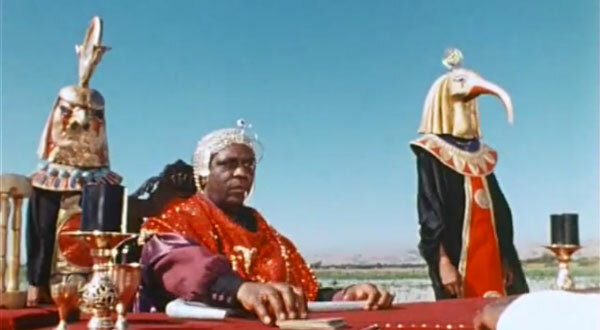 The incomparable Sun Ra and his mighty Arkestra star in this amazing 1974 film about Ra's arrival on the planet Earth, Oakland California to be more specific. Wonderful low-budget splendor adorns this fascinating document. In a way, it resembles parts of Rudy Ray Moore's PETEY WHEATSTRAW, THE DEVIL'S SON-IN-LAW, in its struggles with the Devil.